In a colorful country like ours, entertainment is highly overrated. The film industry of India, also known as Bollywood has amassed a huge following of crazed, die-hard fans, not only in India but abroad as well. It is said that more than 1000 movies are produced and launched by our film industry every year and being quintessentially “Indian” in its workings, the industry itself is in love with the traditional Indian attire, the Saree! Bollywood Sarees or Bollywood styled Sarees are simple ultra-glamorous Sarees, designed by some of the most esteemed fashion designers of our country, who are constantly striving to produce the perfect Saree for a character in a movie. These beautiful pieces of clothing art are worn by some of the most gorgeous actresses of the film industry. Fueled by the immense reach and allure of Bollywood, replicas of such exclusive Bollywood styled sarees are a major trend nowadays and are highly sought after by young Indian ladies all over the world. 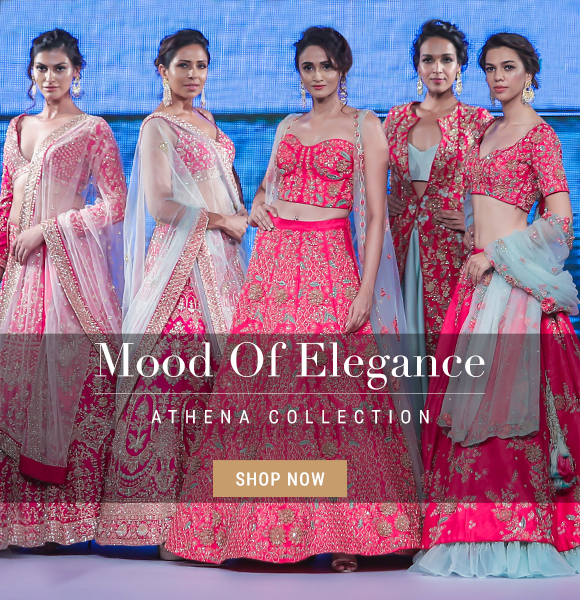 Designers in India can replicate and create extravagant Bollywood sarees, which can elevate your look to match those of Bollywood’s prettiest actresses. The Saree in itself is a very graceful and elegant attire, but when created and modified with by fashion designers, keeping in mind the flamboyant and over the top zeal and appeal of Bollywood, it is transcended to another level of glamor and style. When it comes to Bollywood, the stylish ladies just keep raising the bar by donning the most stunning Sarees at Media events and TV shows. Needless to say, Bollywood Sarees sell a lot in India and abroad because of their high fashion quotient and get lots of brownie points for being worn by the hottest style icons.From Oprah Winfrey and Ashley Judd to Lady Gaga and Paris Hilton, the leading ladies from world over love wearing the costume and making the paparazzi go click-crazy! Check out our collection of beautiful, designer Bollywood Sarees on KalkiFashion.com and grab yourself an amazing Bollywood styled Saree that is sure to make you look no less than a star. Bollywood styled Sarees are meant to be worn the exact same way you would wear a traditional saree, by draping the saree around the waist and making pleats, which are tucked in the inskirt or petticoat and the other end hung over the shoulder. A designer may make some changes to the garment to incorporate certain styling elements, in which case he or she will make the proper modifications to your Bollywood Saree and make them easier to wear and carry. Actual Bollywood sarees used in the making of certain movies are extremely overpriced and may not be affordable to each and all. However replicas of such Sarees are easily available online and that too at too good to be prices. With the boom of the e-commerce industry, shopping and buying Bollywood sarees online has never been this easy, quick and safe. We at kalkifashion.com constantly strive to offer you the best and the most beautiful apparels online. Buying Bollywood Sarees online saves your time, energy, money and is extremely simple. You can get offers and discounts if you shop for Designer Sarees online. The price of online sarees is very affordable and is inclusive of the shipping cost. Kalkifashion provides you with Free Shipping of our products worldwide and also the option of Cash on Delivery. 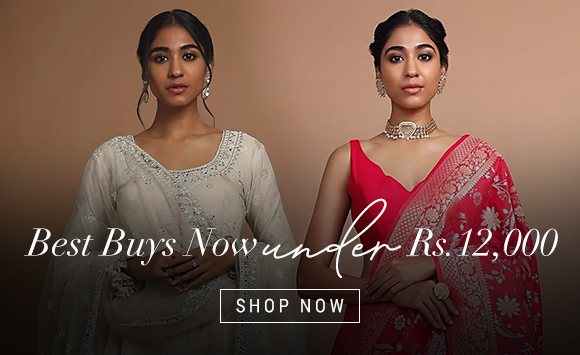 Also, when you sign up with Kalkifashion, you get an 11% discount on your purchase of a Bollywood Sarees online from our exclusive collection. We also have a ‘no questions asked’ 30 days Return and Refund policy to keep your satisfaction at utmost priority. Just sit back at the comfort of your home and browse through our fashionable and highly curated collection of Indian Designer sarees in all their glory and variety, only on kalki.